Redbet was founded in 2002 with the purpose of providing a gambling platform that was safe and fun for their users. They launched their online site in 2004 promising gaming with no fees, great offers and quick withdrawals. They are operated by Evoke Gaming Ltd and registered under the government of Malta and regulated by The Malta Gaming Authority. UK customers can also be assured that the site is licensed and regulated by the UK Gambling Commission. Their wide variety of games, software features and customer support options will all be covered in this Redbet Casino review. Redbet Casino lives up to its promise to make gaming enjoyable by providing a wide selection of games which can be easily browsed on their clear homepage. Players can view all games at a glance, sorting the from A-Z, Newest-Oldest or by popularity so they can find the game they are looking for straightaway. If you have a particular type of game in mind there is a handy toolbar with all the options including their seasonal category. With 60 slot games to choose from, those of you who love feeding virtual coins into the machine are sure to find the game for you. You can rock out with Motörhead, Jimi Hendrix and Guns N Roses or experience the thrill of Planet of the Apes, Phantom of The Opera and Jurassic World. The biggest prizes, of course, can be found in the jackpots where the largest win is currently over £2 million. Scrolling through the choice of table games is like looking into a world of green baize, just like stepping onto the floor of a real casino and seeing all the tables laid out and ready to take your bets. Here you can find all your favourite card and casino games in one place such as Roulette, Blackjack and Baccarat. There are also games you don’t see featured everywhere like Red Dog and Punto Banco. And poker lovers can browse their own dedicated section with many different types of video poker such as Jacks or Better, Casino Hold ‘Em and Deuces Wild. There’s even a downloadable Redbet Poker Client which lets you sit at tables with real players and take part in tournaments. Redbet’s Live Casino boasts an impressive range of casino games available to play with live dealers. Variants of Roulette, Blackjack, Baccarat and Poker are all ready to play in real time and with speedy gameplay. Only in the Live Casino is Dream Catcher, a wheel of fortune style game that is easy to jump in and out of for a quick game. The online casino is compatible for PC and Mac and is fully optimised to play on mobile on both Apple and Android. Just access the browser from any of these devices and Redbet Casino is available from the comfort of your own home or on the go. Redbet’s games are brought to you by big names such as NetEnt, Microgaming, and Betsoft guaranteeing the best graphics and smoothest gameplay whether you are playing an adventure game based on the latest blockbuster or getting a nostalgic kick from a virtual fruit machine. Evolution Gaming provide their specialised live games to give the look and feel of a real casino. These gaming platforms are all certified impartial as they use Random Number Generators which are regularly audited to ensure fairness. The latest audits are available to read via a link at the bottom Redbet Casino website. The rewards just keep piling up with Redbet’s Welcome Bonus! Once you’re all signed up and ready to make your first bets, you’ll be able to enjoy a 100% deposit bonus up to £50 plus 50 free spins on the game Warlords. After that you’ll be able to claim bonuses on your next two deposits giving you a total of £200 bonus and 150 free spins. This will benefit gamers who like to play with smaller deposits over a longer period of time compared with other online casinos who offer a large Welcome Bonus all at once. Keep checking back with the Offers page which keeps you updated with first deposit bonuses on all areas of Redbet. It also keeps you up-to-date with poker tournaments and sports betting. Like all online casinos, all promotions are subject to terms and conditions so be sure to read them carefully before participating, making sure you’re using the right bonus code, playing on the right dates and aware of the wagering requirements. There are many secure banking methods to make your deposits with including NETELLER, Skrill and Trustly. All are protected by SSL encryption technology from COMODO which keeps attackers from accessing your personal details including bank and card numbers. From 8am to 12am every day, Redbet Casino is available by email, live chat and phone to answer any queries or problems. 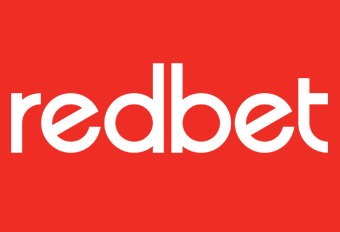 Redbet also provides the address for their offices in Malta on their About page should you want to contact them by post. There is also an extensive FAQ section, so your own questions can be easily troubleshooted before contacting Customer Support. Each area is divided into sections such as Account, Deposits or Withdrawals so you can find the solution to your issue quickly.